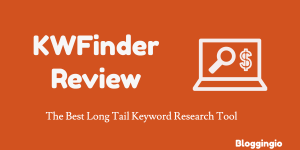 KWFinder is an reliable and effective keyword research tool to generate easy to rank long tail keywords I'm using for the last few years and this KWFinder review explains you my experience of handling the tool effectively. Before going into the review, let me clear you few things. Mangools is the brand behind the development of this tool. Apart from it, there are two other tools SERPWatcher (analyze localized SERP results), SERPChecker (rank tracker tool), LinkMiner (backlink analysis) and finally the SiteProfiler for competitors traffic analysis. 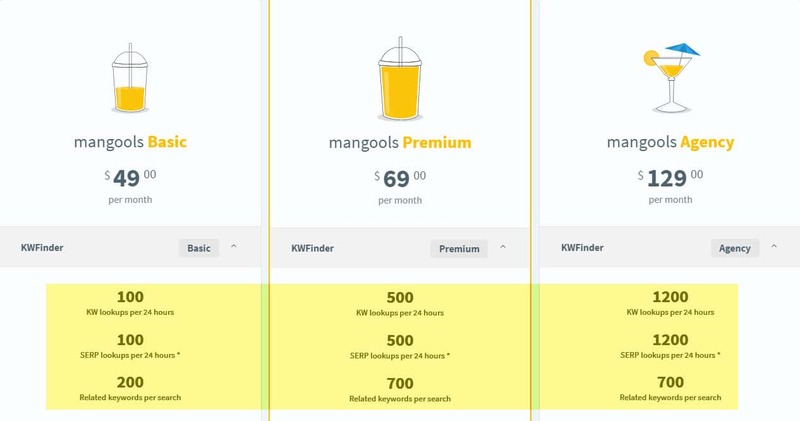 All the tools comes under a single roof, Mangools for an really cheap price which absolutely make them as the #1 Ahrefs Alternative for keyword research & also an SEMrush Alternative. You can buy either Basic or Premium or Agency plan and you will get access to all the three tools. Note: We've mentioned Keywords as Kws / Keyword as Kw in some part of the post. I came across this long tail keyword research tool a few years back, and on that time, did some basic kw research, but now the growth is exceptional. I started testing with a keyword "search engine optimization" and choose the country United States ( you can choose any country) and finally language as English. It is simple right? You can get a lot of kwwithin seconds. Just a click, I got 10+. The above results are based on Suggestions kws. The below are the results for Auto Complete and question type. If I'm searching for KWFinder Review in the tool, I found even more auto complete like KWFinder Review 2019 & KWFinder Reviews and more on. If you look at the results pages, you can find various parameters by which the tool puts a value on a website. In this review, I tested some random kws to show you a demo of how this creative keyword research tool works. 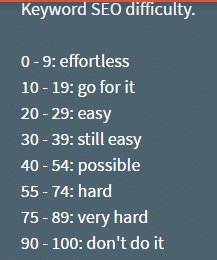 You can see the kw "affordable SEO packages" values 29/100 which are not a hard kw to rank and this is how the tool calculates difficulty value. The parameters found in the screenshot and their explanations. Search history for past 12 months - Find the search volume for the past 12 months, and you can rank for the search volume which is improving month over month. Google SERP - The top 10 pages are ranking. DA / PA - Domain Authority and Page Authority obtained from Moz. MR & MT - MozRank & MozTrust of the URL. Links - Number of external authority-passing links to the URL. Estimated Visits - Estimated visits per month on this SERP position. 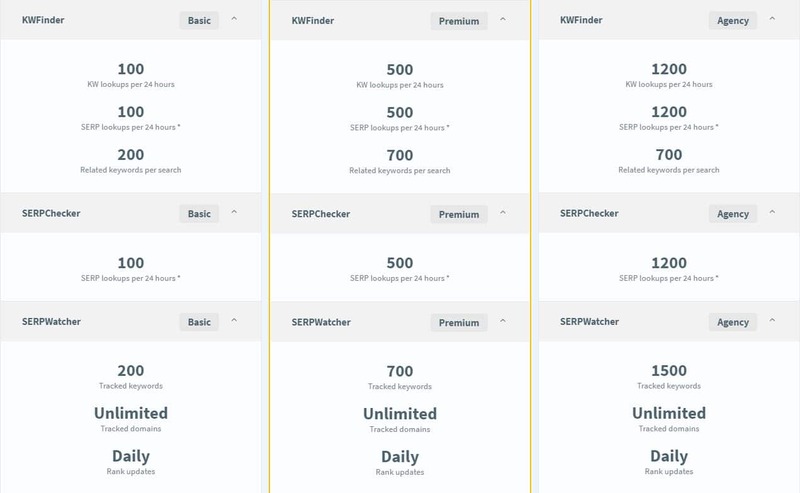 There is a Filter option in the search results page, and you can use this one to do awesome stuff to find the most profitable kws and you can drive millions of traffic from search engines. For Example, there is an option to include kws of your own. If you're running an Amazon niche site, you might come across the buyer intent keywords which is helpful to drive more sales to the niche kws. I did a search with a buyer intent kw - Cheap. I tried to add few more hacks in this KWFinder review content but you can learn above such things from Mangools blog where they written awesome SEO guide for beginners and I bet surely you'll learn something new through those tutorials. Few members requested to run some amazon niche site, and here it goes. I was going to deploy one of my website for this kw, yet I choose the kw to show a live demo of how the tool finds long tail kws. 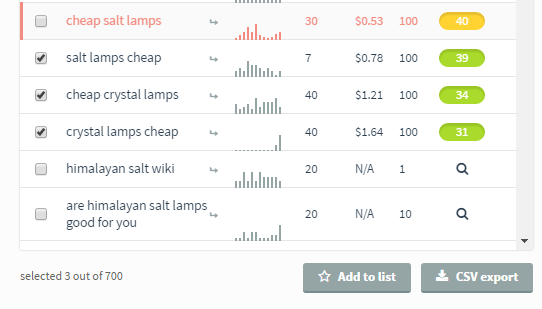 I choose the kw "Himalayan salt lamps" and choose the buyer intent kw "cheap." The awesome is I got three low competition kws out of six. Remember I used only one buyer intent kw. You can include as many buyer intent kws like (best,cheap,affordable) and create a list of 10-15 kws to start a perfect Amazon affiliate niche site. If you want a long tail kw, you enter the number of kws to 3 -5 in the filter results option and do a search for excellent long tail kws. There are two options at the bottom by which you can select a group of kws and create a list. The list will be saved, and you can check it whenever you needed. You can find the competitiveness after ranking your websites later. You can choose the kws and export it in CSV Format. There is an option to export the metrics of the kws too. You can do it to show the kw to your clients or share with your writers for productive works (learn more). You will get live support from the developers right from the website. You can drag and drop the chat window as per your convenience since the default right corner will hide the kws when you're in chat. I had few issues with the Keyword difficulty value and contacted him for possible solutions. To my surprise, he comes up with the insider reasons that caused the bug, and he promised the bug will be resolved and it was fixed within 24 hours. Pricing is simpler and there are two options either monthly or yearly. As said earlier, you will get access to all the tools. The limits across each plan is highlighted. I'll update the KWFinder Review content if any price change happens in near future. The above pricing is for monthly payments. However, if you choose to go with yearly payment, you can get some huge savings. As said earlier, you can get an account with any of the above three plans and get access to SERPWatcher and SERPChecker. 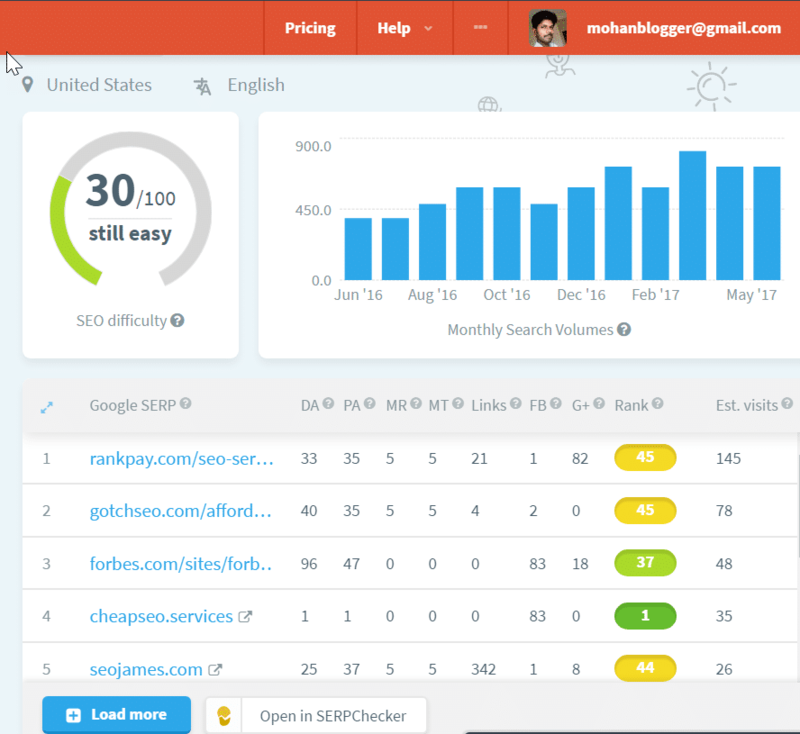 With a modern UI, supportive developers and one click to find long tail kws, I think KWFinder is a must have tool for Internet Marketers and SEO agencies to be the best long tail keyword research in the market. I hope this KWFinder review is live up to the expectation and if you have any questions, please let me know in comments. Nice review mohan and keep it up and most of your reviews are clean and understandable it keeps them to know more about it and resolves some doubts. Thanks for comments regarding , KWFinder. Hope you love it. I wonder do you know where kwfinder gets their search volume from? A lot of the keyword search tools I have seen like market samurai and long tail pro have stopped working after Google no more gives away the search volume for free. Will this also be a problem for kwfinder in the nearest future do you think? When tools like Market samurai and Long tail affected by Google AdWord restriction, KWFidner was not affected and worked like charm. 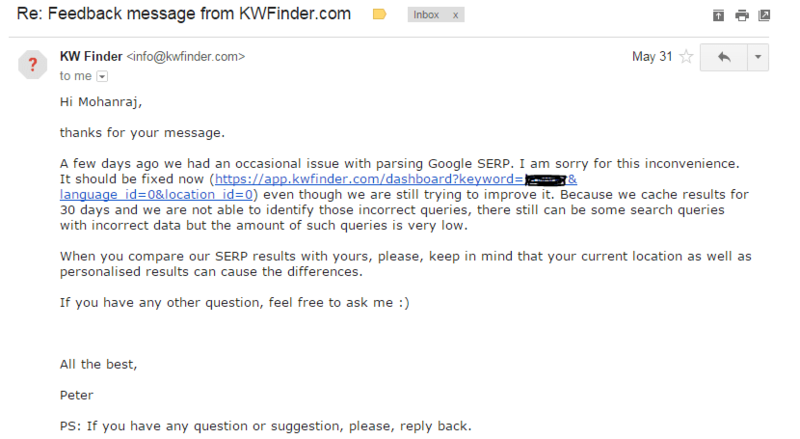 Yes, KWFinder get search volume from Google AdWords and few other sources. There is no chance of problems with KWFinder in future since the developers are taking this project on a serious note. You can look my blog for more affiliate marketing tips. Thank you, Hope you love it. rankbrain has cheaper plan , only 5$ per month and you can have up to 200 keywords search and analysis per day. I change my blog SEO title with KWFINDER Suggestion. The title score is 34(not hard), after implement on my blog , my ranking is decrease. 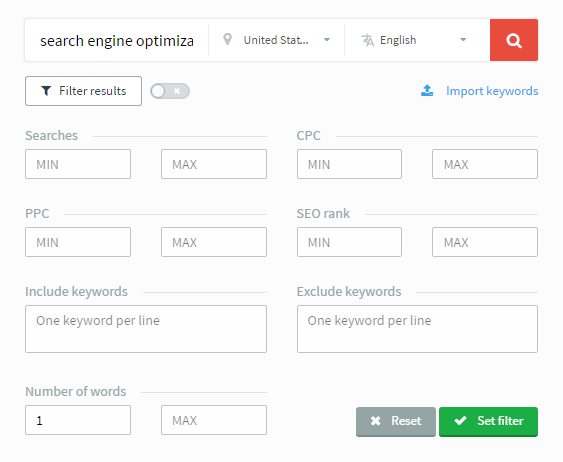 KWFinder helps to find long tail keywords with less SEO competition. As per your statement, the KW difficulty value is 34. You can write a blog post using the long tail keyword and with a moderate Keyword density around 2- 2.5% , then your new blog post will rank higher on Google. If there is no backlinks or less keyword density, then even a keyword with score 20 can’t be ranked. Since you changed the SEO title, I suggest you to include that keyword in that blog posts and I’m sure your site will rank. How would you compare KWfinder to Market Samurai (MS) tool? Which tool is superior as far as SEO Competition and keyword difficulty in building niche sites? Also, is KWfinder a good alternative to replace both Google Keyword Planner (GKP) and Market Samurai (MS)? If I were to get the KWfinder tool, can it help me find high demand/low competition profitable niches? I like to move away from GKP and MS. I didn’t used Market samurai personally, so I can’t able to make a statement about it. But KWFinder is absolute gold mine, they bring updates every week adapting to required needs. Yes, you can replace both GKP and MS with KWFinder since it gets search volume from GKP only. When tools like LTP and MS got affected by Google limitations to show keyword volume, KWFinder worked flawlessly. Most of the times, the keyword difficulty score is accurate and I can say it’s better than most keyword research tools including Ahrefs latest keyword tools. I am also using kwfinder, its really awesome & best thing for newbie its provide 3 times keyword research in a day with a free account. Since couple of days, I tried it get decent amount of traffic on my blog. Coupon Code not “Copying” and can’t get the discount. Is it still working? I love this tool! It is really awesome! Hey raj! The coupon when clicked does not work. Check and update us. We wish to buy the plan through discount. Thank you for the discount code and review!! Don;t you think this is the only tool which has this much features at this price? I strongly recommend KwFinder to my friends. Yep. The best keyword research tool to find long tail keywords as low as $12 per month. Thanks for the KWFinder coupon code. Your awesome! I was wondering if you’ve ever heard of Twinword Ideas? 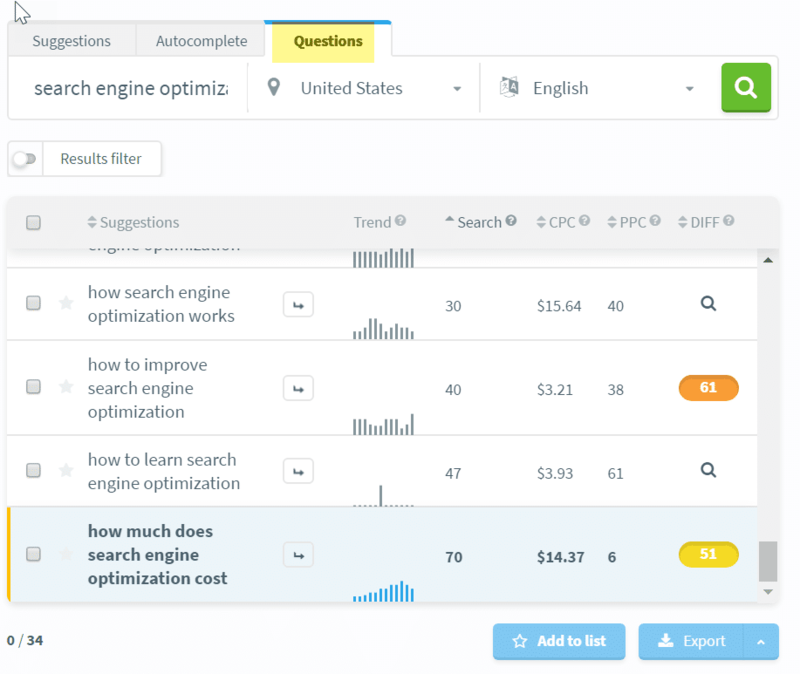 It’s an AI-powered keyword research tool. Keyword tools often give too many unrelated keywords. So, we developed an AI-powered tool that filters unrelated keywords. 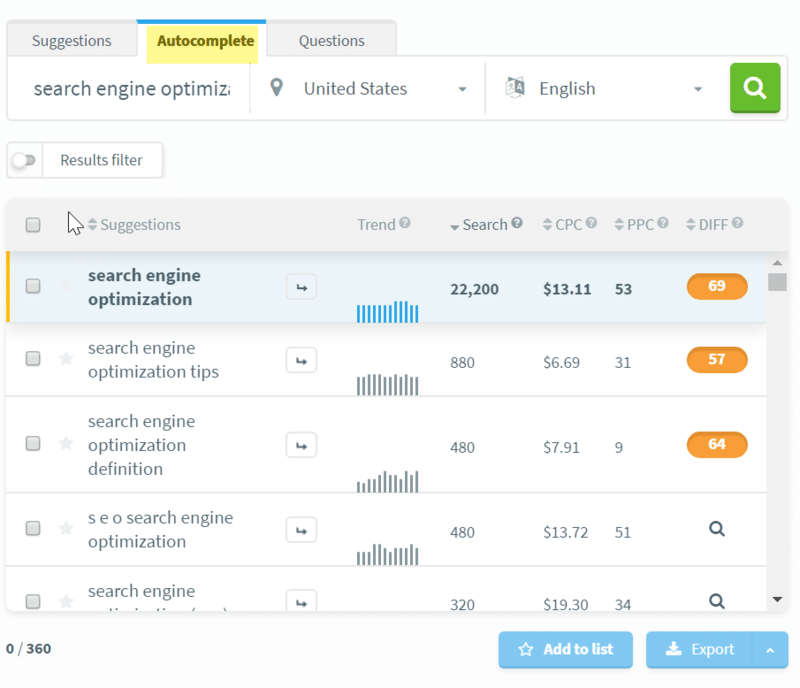 Just by moving some sliders, you’ll get a filtered keyword list ready to plug into your campaign for testing. Thanks again for the coupon code! Thanks for the update, Joseph. I will have a look at the tool. 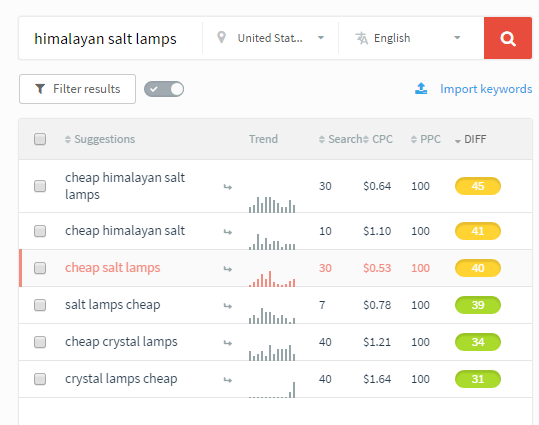 Really an amazing tool for Keyword Research. Thanks for your review. Thanks for sharing such an excellent review. Finally, I have got the best keyword research tool. Using KWfinder I have already got enough benefits. It is really a powerful keyword research tool. When someone talks me about KW Research than I simply recommend KWFinder as a handy tool because it’s the best one for finding thousands of high quality and low competition keywords in a few minutes.